Designed by Dan Tope and manufactured by Bark River Knives, the Hauk fixed blade knife with a satin finished wharncliffe blade and black micarta handle scales is a Seax for the 21st century. 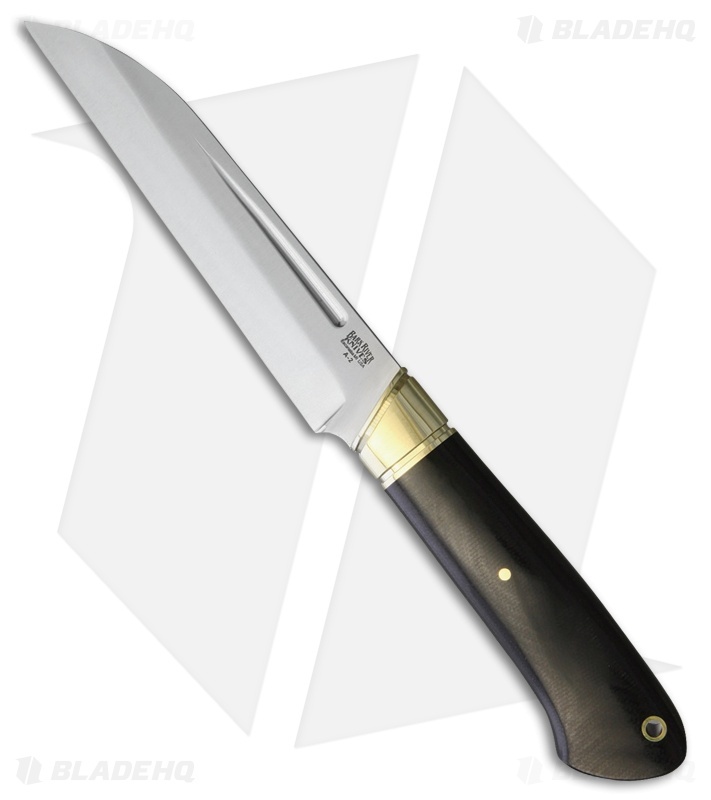 The 5.75" blade is made from A2 tool steel, hardened to 60RC for exceptional edge retention and durability. 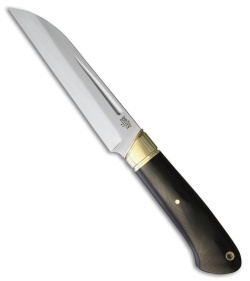 Rounded black micarta handle is comfortable in hand, filling the palm for a secure grip. An attractive brass bolster pairs the blade to the handle for a functional and eye catching addition. Carry the Hauk with the deluxe leather belt sheath. Black micarta handle for a comfortable and secure grip.